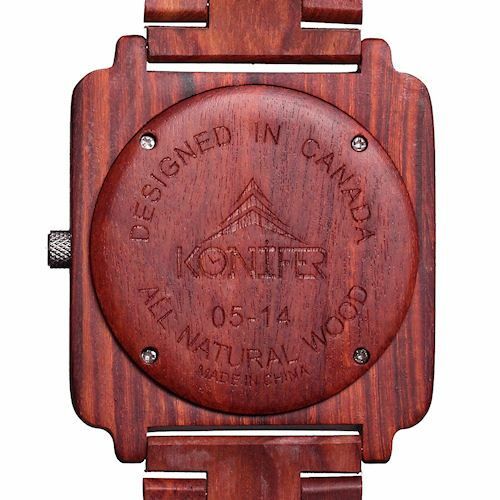 The appeal of a wooden watch lies largely in its unique look and our Adirondack Mahogany more than delivers. 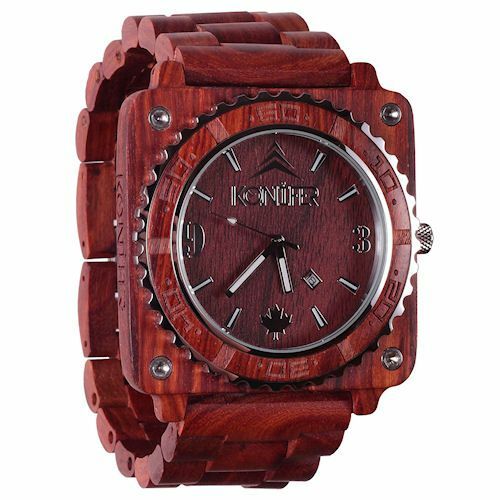 You’ll find the deep, nearly cherry coloring of its red sandalwood finish combines with the large face of this beautiful watch to create a distinctly eye-catching piece. 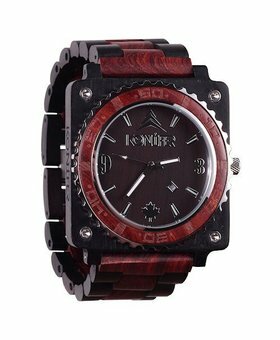 Particularly striking is the round dial on a square face – a distinct touch sure to appeal to the watch connoisseur looking to stand out. 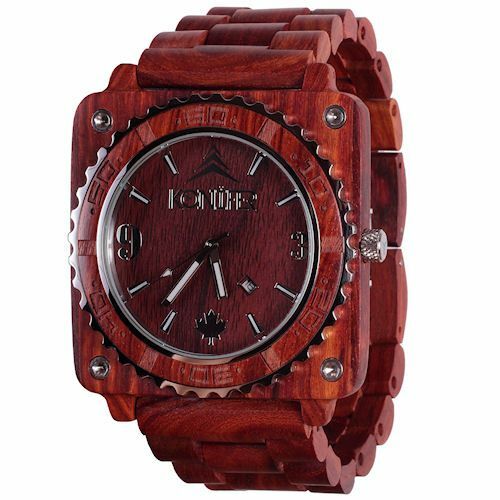 Red sandalwood has long been valued for its durability as well as its rich, warm tones. 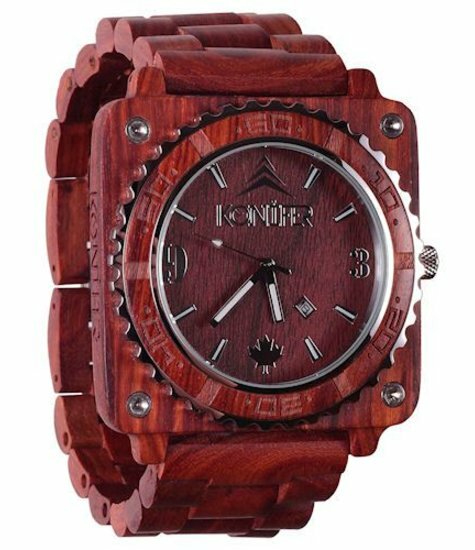 Constructed entirely of this luxurious material, this timepiece will lend your wrist time-honored style that will last and last. Choose one for a friend, a spouse or yourself. 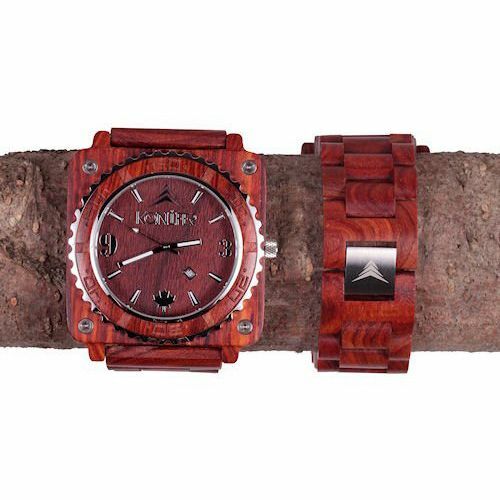 Whoever sports this time-piece will be the talk of the town.